The adventure sea-kayaking around Port is outstanding, and as challenging as you’d like it to be. Kayak trips can begin straight from the Port harbour jetty. 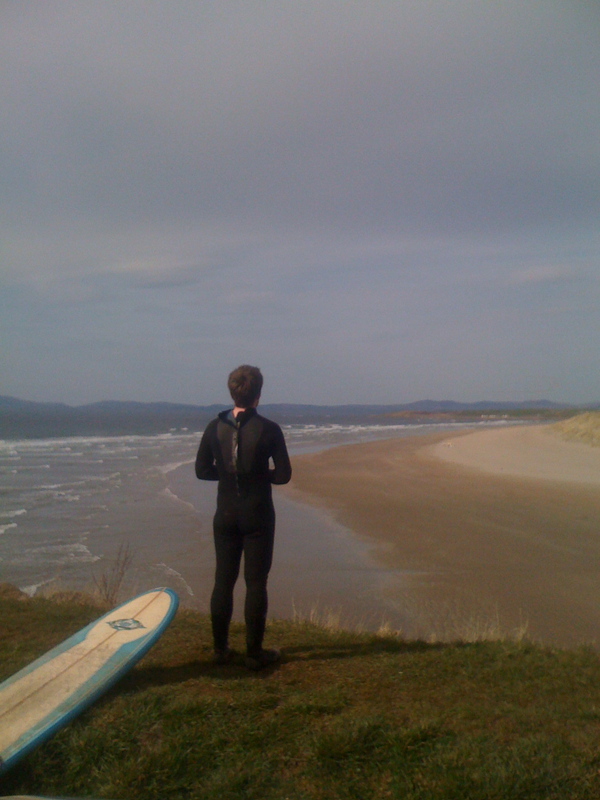 And there’s some pretty good surf beaches, like Dooley, and Tramore, not far away either. Walk out of the door in any direction, apart from due west (unless you have webbed feet) and you can go for miles and miles. There are marked trails, hidden valleys, incredible cliff walks and a huge sense of freedom. Glencomcille is a two hour walk. Head north to Maghera and you’re unlikely to see a soul for the whole five hours. Sadly the surfing’s not an option at the beach just below the house, but it really does get up at some beaches near Ardara, about half an hour to forty five minutes away depending on which one you choose. Dooley Beach is a surfer’s favourite, and Tramore Beach, between Ardara and Portnoo. In the summer months, Bundoran Surf Company may well be doing lessons at Tramore, – and actually, Bundoran, Ireland’s surf mecca, is less than an hour’s drive away. Contact The Bundoran Surf Company to check. There are mackeral and pollock in the bay, if the seals don’t get them first. We get all we want normally, and there’s nothing better than your own fresh fish. If you fail , try your luck with the Port lobster and crabmen, and they might throw you a morsel or two. You can also go cockling at Maghera Beach – fifteen minutes away. What can we say – the heart of every great Irish evening, and more often than not some very fine music. Where every great activity ultimately leads to. 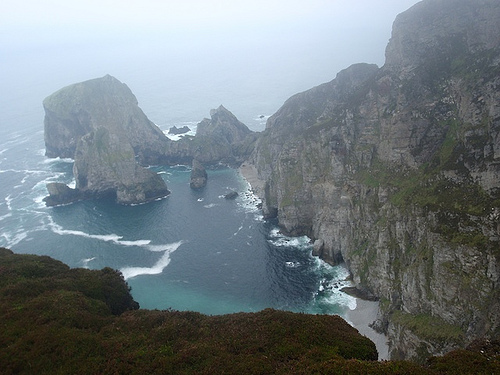 Nearest one is fifteen minutes drive, or two hours’ walk to Glencolmcille.